Grain-free, gluten-free, low carbohydrate, locally sourced Paleo lunches, all boxed up and ready to go! No microwave required! Almost as soon as I got home from our weekend getaway this afternoon, I hard-boiled a dozen eggs and prepared my Monday lunch box. I know myself. If I don’t prepare my food first, I may not prepare it. Mondays are an interesting day. I only have three hours of class and it’s a morning class. I’m home in time for a late lunch. That means I need to eat on the way to class, in the car. Everthing in my Monday lunch box needs to be edible using one hand so I can eat while I drive. My first Paleo breakfast box! Whether you're a parent who has run out of lunch box ideas for your kiddo that DON'T contain added sugar, grains and gluten, or an adult looking to stay Paleo while on-the-go (which can be easier said than done! 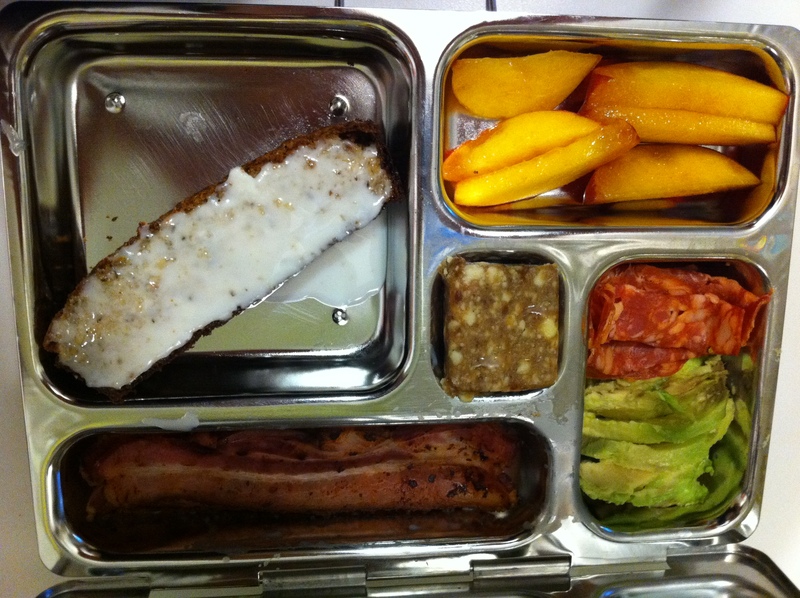 ), I'll be updating on week days with innovative lunch box ideas that stick with a lacto-Paleo, generally low-carbohydrate diet. I do not have access to a microwave most days, so all lunch boxes will be full of foods that can be eaten ANYWHERE, from the car to the classroom. What Type of Lunch Box are you Looking for?